(24 cm), xii, 212 pp. Publisher’s pictorial cloth (no dust jacket issued). 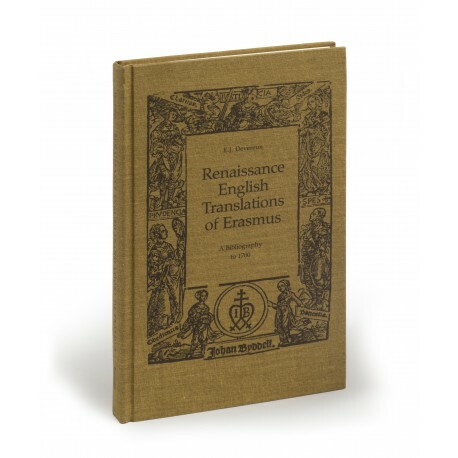 - Introduction describing the important role the translations played at different stages in the English Renaissance and Reformation, followed by a full descriptive bibliography with much significant detail. 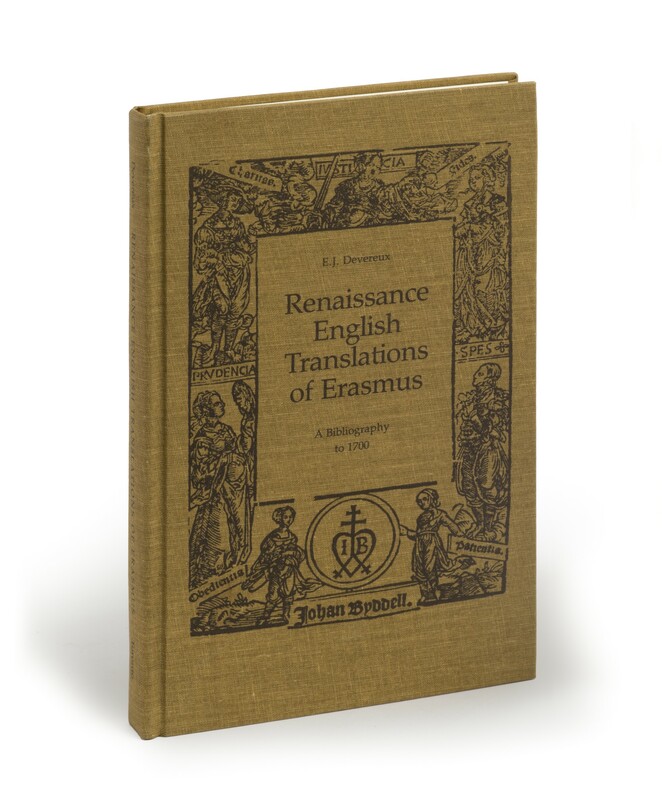 A revision of the author’s Checklist of English translations of Erasmus to 1700 (Oxford: Oxford Bibliographical Society 1968). ¶ Excellent, unmarked copy.